With the summer nearly upon us, I’m excited to make the most of the first good weather so I’m full of kids garden ideas. 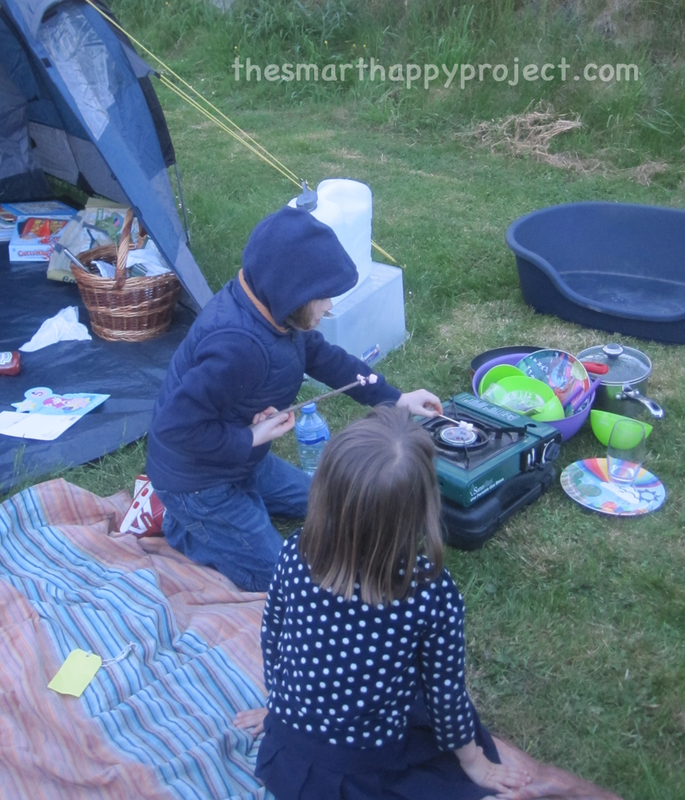 Garden camping has always been on the top of the list. 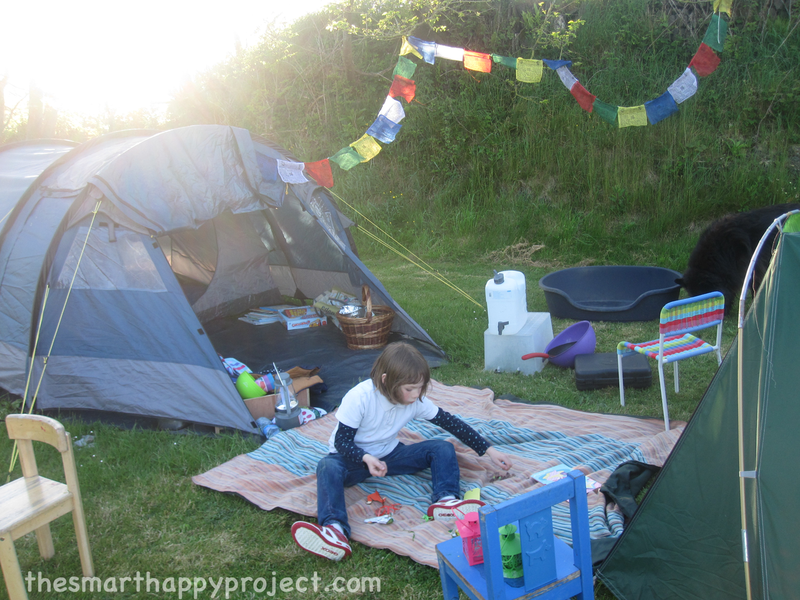 Spending a night garden camping out with the kids in your own backyard doesn’t have to be a palava. It can be a special time together, sharing an atmosphere that maybe unfamiliar to them will be remembered for ages. 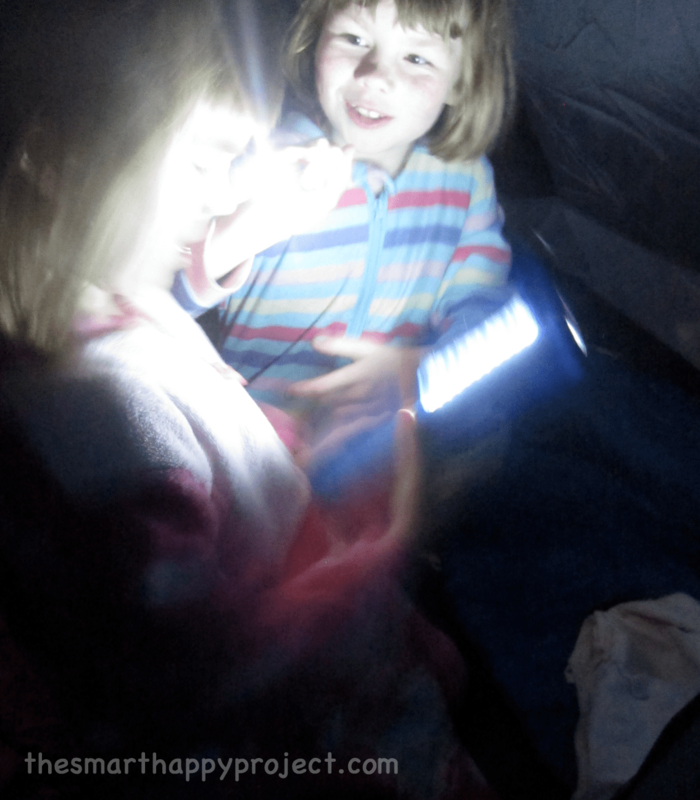 16-22 June 2014 is the RSPB Big Wild Sleepout. I had ambitions to do all the things they outline on their website; making owl masks, attracting moths etc. But when it came to it I had only the energy for a camping stove dinner and a midnight walk. But it turned out to be such a memorable night for all of us. You have no idea how exhilarating it can be bouncing on a trampoline in the dark! If you do fancy it (and it may not be for everyone) here’s a few tips and pictures to help you along. Have an easy dinner prepped and ready before you leave the house. We had ready made soup, then we fried frankfurters and put them straight into ready buttered rolls with ketchup. It was of course the marshmallow campfire that they were really waiting for. Keeping preparation on the grass to a minimum was the trick and I ignored the washing up until the morning then put it straight in the dishwasher. Camping away from home you are at the mercy of the elements and you can’t get away from the weather. That is the beauty of garden camping at home. Pitch the tent but don’t be pushed into sleeping out that very night if the weather is not in your favour. This maybe stunningly obvious but I wouldn’t advise it if its likely to rain. Check the forecast and most importantly the night-time temperature. Don’t underestimate how many blankets you might need. 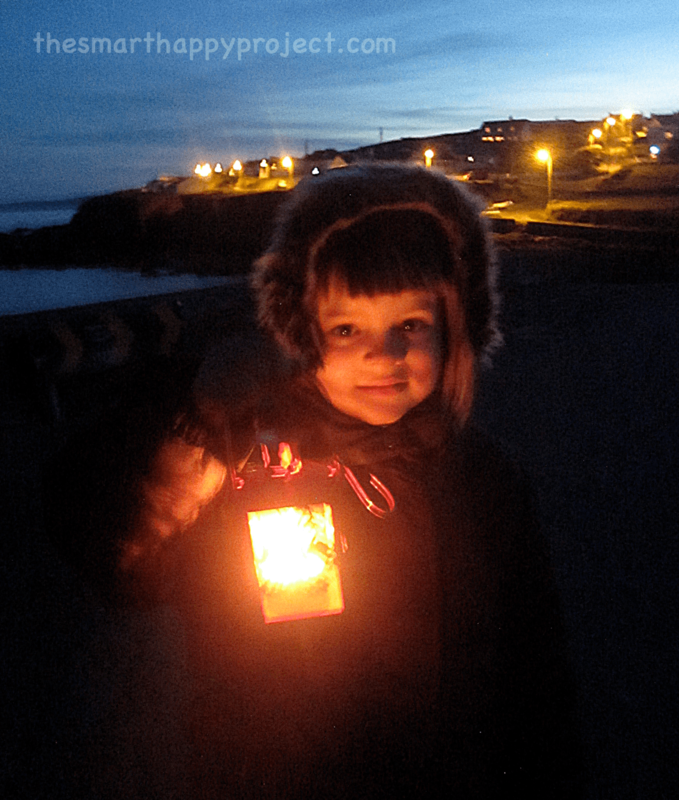 Take a lantern lit walk at dusk. It’s such a simple thing but kids love it. The sheer amazement at stars as they appear one by one and all the changes in animal sounds as nighttime approaches. Ok, I know I’m in the countryside and a city experience can be very different, but anything different from experiencing night through a bedroom window is going to be remembered. Seeing the neighbours’ cat on a midnight prowl will put that usual sleepy feline in a different light for a 5-year-old. Remember to see it through their eyes and stop being a grown up for a while. Please share this with friends. For more kids garden ideas join The Smart Happy Project mailing list to receive regular info and updates on the magazine.